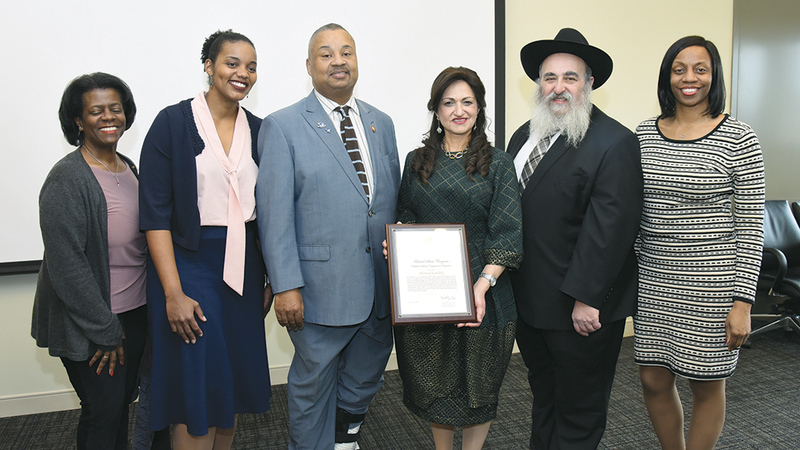 Last week the United States Congress honored Shterney Kanelsky, the associate director of Bris Avrohom and principal of Cheder Yaldei Menachem, as a Woman of Distinction in honor of Women’s History Month. The award was presented by Congressman Donald M. Payne Jr. (D-Dist. 10).